Violinist Jae-Won Bang* received her Bachelor of Music and Master of Music in Violin Performance from the Colburn School and Yale School of Music respectively, and Master of Music in Historical Performance from the Juilliard School. 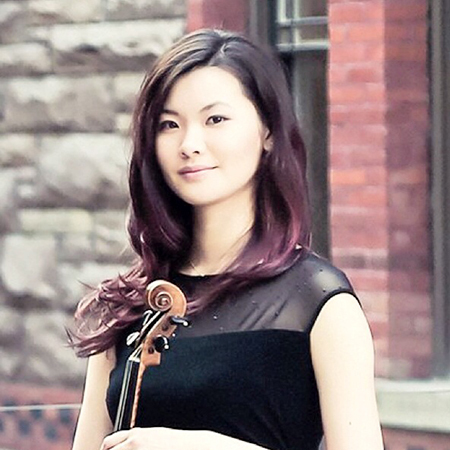 In 2012, she was featured on the NEXT Young Artist series on CBC Radio Two with pianist Ryo Yanagitani, as the first artist to be heard on both baroque and modern violins. Jae-Won has collaborated with Clive Greensmith, Gil Kalish, Ronald Leonard, Rachel Podger, Arnold Steinhardt, and has performed in Weill Hall and Stern Auditorium at Carnegie, David Geffen Hall, Kennedy Centre, Alice Tully Hall, the Greene Space at WQXR, and le poisson rouge. She has also appeared as a Young Artist with Da Camera Houston for the 2015/2016 season. Her teachers include Gerald Stanick, Robert Lipsett, Ani Kavafian, Laurie Smukler, and Cho-Liang Lin on violin and Robert Mealy, Cynthia Roberts and Monica Huggett on baroque violin.